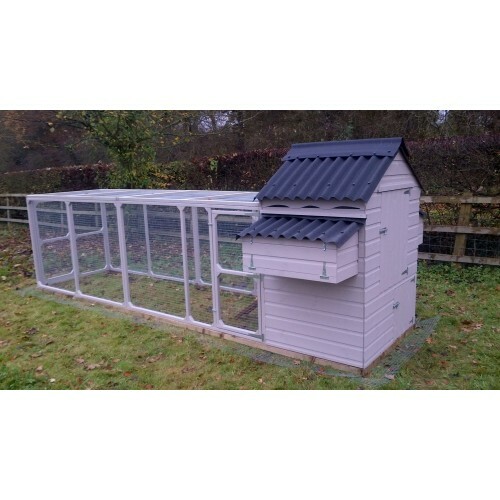 The Chicken House and Nest Boxes all have Onduline roofing which is the preferred roofing for Poultry housing as it does not harbour parasitic red mite unlike felt plus wears and looks much better than felt roofing, it also allows vital air circulation through the Housing. 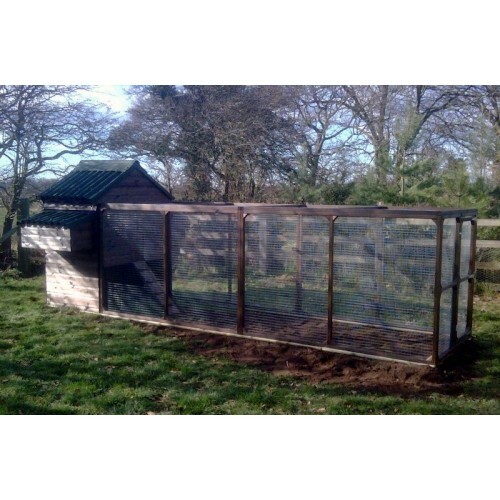 Additional Option - The underneath of the Chicken House, the Chicken Run end and back of the Chicken House can be fully weather boarded to make a complete closed end to give shelter to the Chickens from driving wind and rain, we also create a small door under the main House door so feeders and drinkers can be placed underneath the Housing. 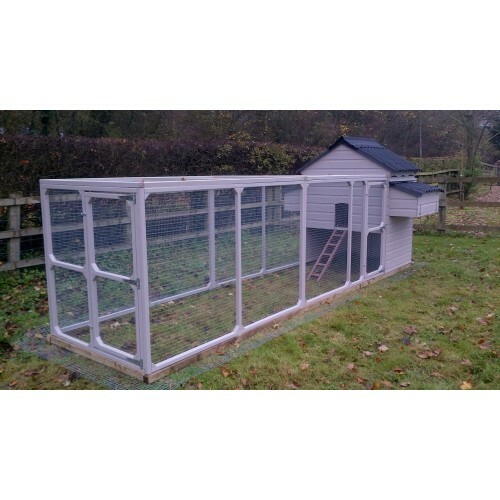 Additional Option- Mesh Aprons can be fitted around the perimeter of our Chicken Houses and Chicken Runs and will prevent a fox from digging and scratching into the Run. Woodenart, the original and best, accept no substitutes or copies! A professional, courteous, informative and helpful service, from people with that rare virtue, integrity. 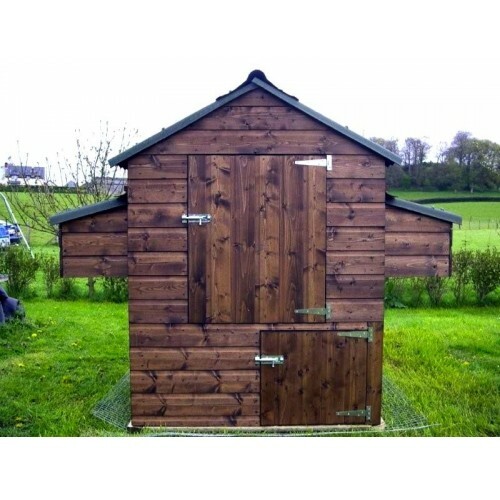 We saved up for the standard 'William', and it truly is well worth the wait for such an excellent poultry house. Made with top quality materials and superb workmanship throughout, well designed with ingenious and practical feat..
A first class quality product with service as it used to be (and should be) We had blizzard conditions today; but Ian & Mark arrived exactly on time. We invested in the fox-proof skirt & meant to purchase tent pegs to secure it; but forgot. (These were provided free of charge.) They spent time getting our slightly uneven ground level to their exacting standards. A 'Rolls Royce' product & serv..
What a hen house!!!! I cant believe how excellent this set-up is, the guys came to York and erected on a date to suit me, such a professional service too. Constant communication. 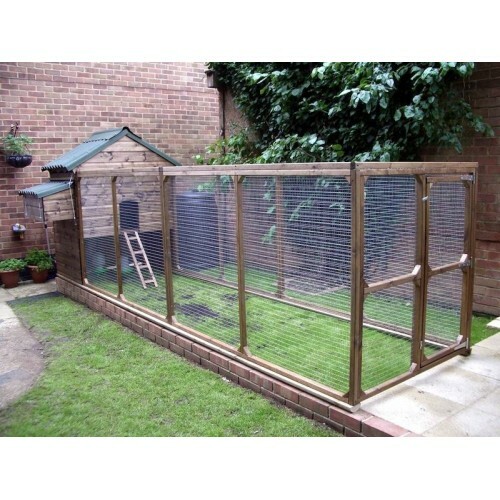 Whilst the photos of The William look great on the website, you want to see if fully erected in your garden/orchard. I have 6 pullets living in mine and they LOVE IT! Its also managable to move weekly, 2 of us move it CA.. 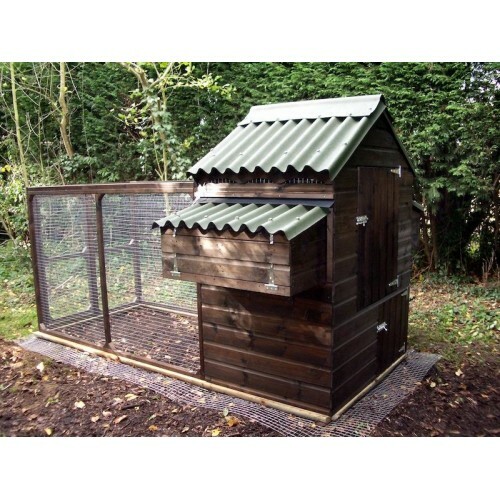 This is a purpose built, high quality item by someone who knows all about chickens. We are extremely pleased with the quality of the product and the friendly professional service. We would recommend woodenart to all our friends.The silkies have settled in well and just need to learn how to climb the ladder!.. What great service. Chicken house delivered, put and ready to go. The four girls are very happy and busy laying and the electric door is worth the money. All safe and fox proof. Finn the Irish Wolfhound says hello and is pleased to see his picture in the Dog Photo section!.. 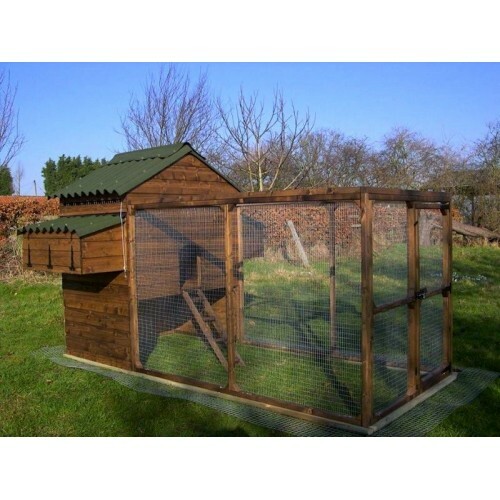 It took a lot of intensive research before I found these guys, so, to say that you need look no further for a well designed, superbly constructed hen house at a great price is an understatement. Mark and Ian arrived and put it together as promised and were clearly proud of what they'd achieved. 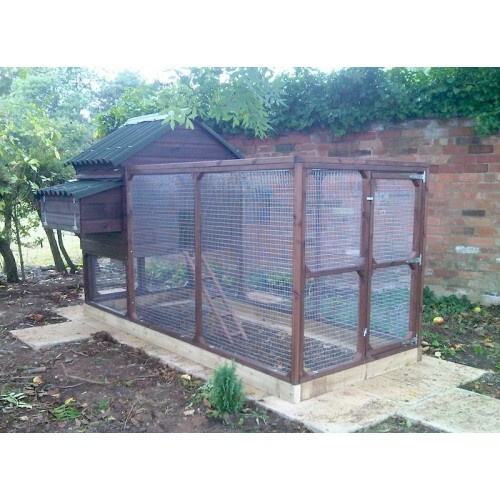 Their professionalism, courtesy and knowledge cannot be faulted and you will not be disappointed when yo..
We have had our William Chicken House for nearly a year now and we are thrilled with it, as are the six happy ex-bats who call it home. It's beatifully made to last, easy to clean and looks lovely in the garden. 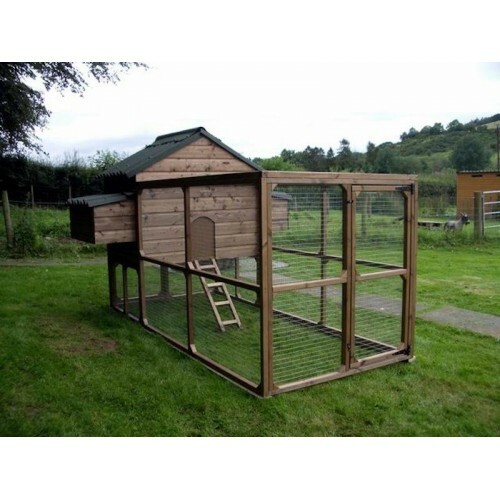 A friend called it "the penthouse suite of hen houses"! Best of all you don't even have to assemble it yourself as, for a very reasonable fee, the friendly guys at woodenart will deliv..